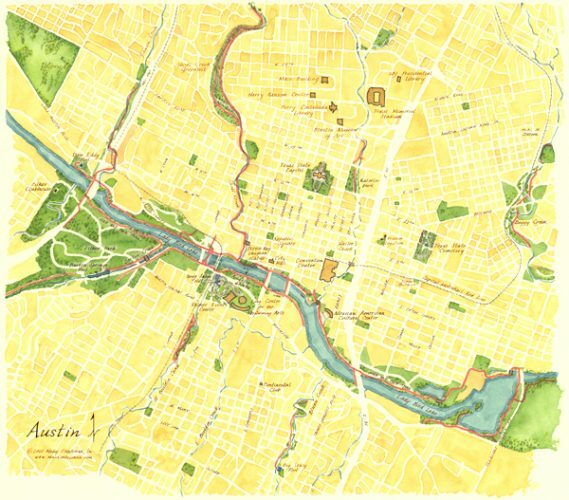 Our fine city seemed to be without a handsome map of downtown and the near neighborhoods like East Austin, where I live. Only one solution to that! 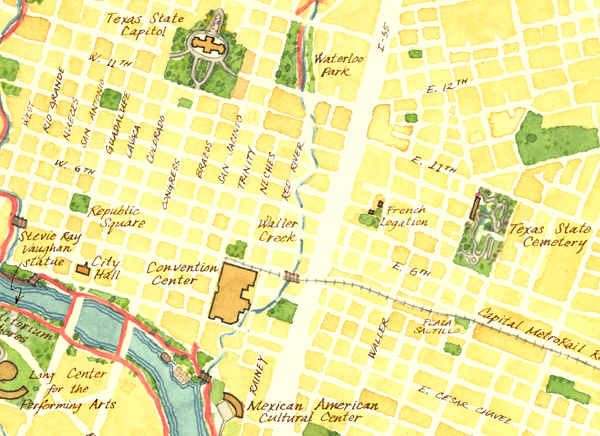 Hand-lettered, watercolor map. Prints available at my Etsy shop.